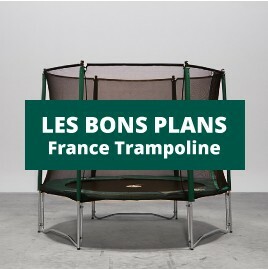 France Trampoline can sell you a trampoline without any other extras. You may just need to replace your trampoline. We have a whole range of trampolines such as the Oxygen, Waouuh, Booster or Apollo trampolines. All of our jumping pads are made from Mesh, a highly solid material. They have also been protected against UV light to improve their durability. It is possible to buy a trampoline without any other extras. All of our products are in compliance with European standards and are regularly checked. You will also find other spare parts such as the W-shaped trampoline feet and the T-junction components. Steel arched rods There are 27 products. Replacement circular framework for Waouuh 360 trampoline. Circular framework for Waouuh 460.